Are you going to fly to Thailand and land in Bangkok? Finnair flies daily from Helsinki to Bangkok, during the high season, Finnair offers more departures than normal. You can book from Gothenburg, Copenhagen Kastrup and Stockholm Arlanda. via Helsinki to Bangkok. Connecting flights are also departing from Norrköping and Stockholm-Bromma Airport. How much baggage can you take with you when you fly with Finnair? 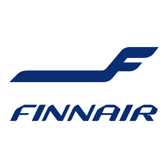 You will find baggage information under the information at Finnair. When you fly with Finnair to Bangkok you have free meals on board. Wine and beer are included with your meal.